Boeing is moving closer to selling passenger planes to Iranian airlines. The aircraft manufacturer says it recently held meetings with a bunch of Iranian carriers. The talks "enabled us to better understand the status of their current fleets, their route structures, and their plans for future operations," said Boeing spokesman Matt Knowles. Iran has said it will need hundreds of new aircraft as it rejoins global aviation networks after emerging from years of sanctions that left it with outdated and unsafe planes. It says it wants to resume direct flights to the U.S. The country's flag carrier, Iran Air, has already announced a huge order for 118 aircraft from Boeing's European rival, Airbus. Boeing cautioned that the meetings it had with Iranian airlines are just "one step in a multi-step process." "Should any agreements be reached at some future point, they would be contingent on the approval of the U.S. government," Knowles said. The plane maker said the talks covered "the capabilities of its commercial passenger airplanes and after-market services," but didn't provide further details. According to Iran's state-run Islamic Republic News Agency, a senior Iranian aviation official said Monday that Boeing offered to sell its new 737, 787 and 777 series to the airlines during the meetings in Tehran. 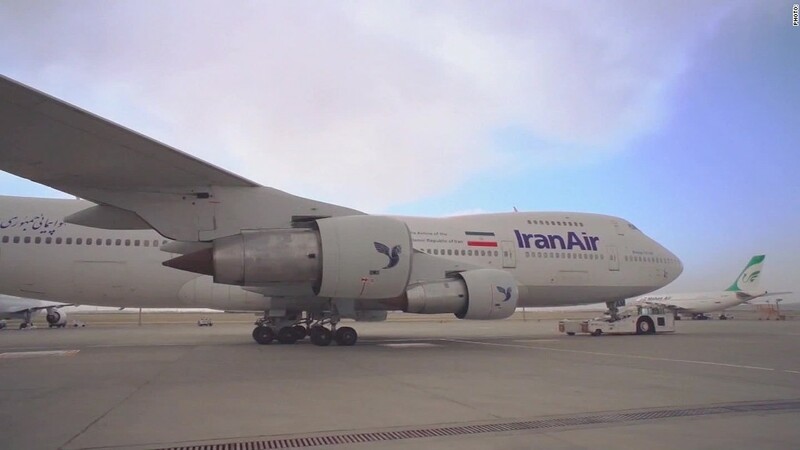 Maqsood Asadi Samani, the secretary of the Iranian Aviation and Space Industries Association, said the carriers, including Iran Air, were studying Boeing's proposals. The U.S. government says it's happy for American companies to pursue deals in Iran, as long as they stick to the terms of the landmark agreement reached last year on Iran's nuclear program, which is known as the Joint Comprehensive Plan of Action (JCPOA). "We have seen a number of major companies make plans to take advantage of new commercial opportunities afforded by the JCPOA," State Department spokesman Mark Toner said Monday. "And we're not going to stand in the way of these companies conducting what we view of permissible business under the JCPOA." -- Chris Liakos contributed to this report.